It had long been an idea that I carried with me. After a few years of abstinence from bow hunting, I finally wanted to once again pursue the origins of our present-day archery and indulge in my passion for nature, natural experiences and my own hunting instinct. 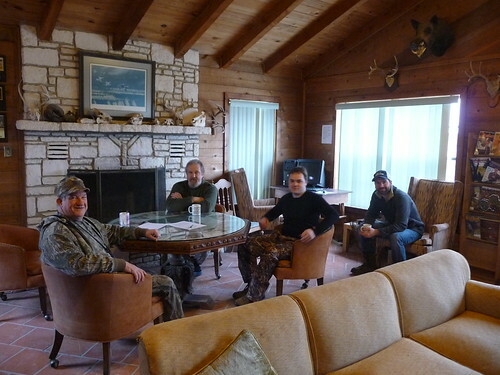 Finally, in February, me and three like-minded Germans made our way to the Lincoln Ranch in Texas. 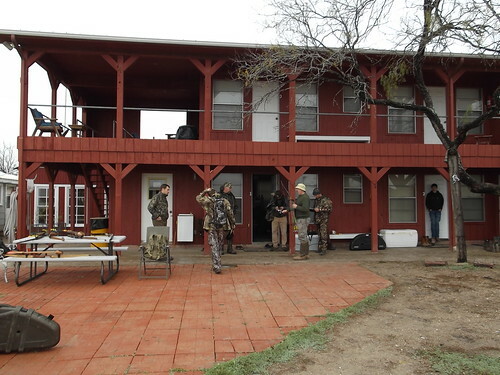 We wanted to hunt javelinas and hogs there and experience the wild Texan nature up close. Information and formalities were all organized and exchanged in advance. When in the beginning there had been a total of 12 interested parties, there were finally another 3 people left, who joined me in the first Wild and Dirty Camo Camp: Lars Iversen, a Bearpaw dealer from Denmark, Stojan Purgej from the Black Forest and Mirco Scheler, a partner in the Printing Company Hoffmann in Sonnefeld were my supporters on our way to the First Dirty Camo Camp. There is not much to report about the flight except that everything went as expected and without significant problems. We all met at Frankfurt Airport and flew to Houston/Texas and then to Laredo. 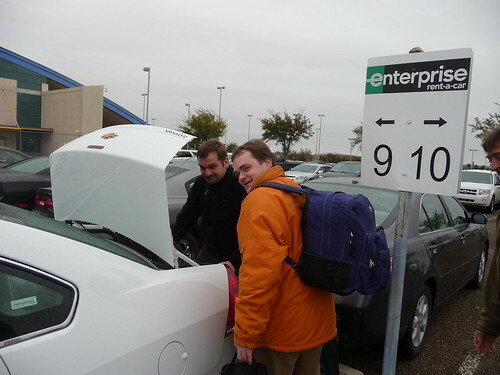 After a night in a hotel, we left the next morning to drive a rented Impala to Enzino, in order to get to the Lincoln Ranch in the Texan wilderness from there. We met Tim Cosgrove from Kustom King Arrows, Jim Belcher from Sky Archery and Paul Williams, a Canadian bowhunter, in Enzino. After we had got ourselves hunting licenses for javelinas, we finally left civilization. Meanwhile, it had started to rain and Jim looked at my Toyota Impala skeptically. With the words “I hope he will do it”, he told me that the way to Lincoln Ranch would probably cause some difficulties. If only someone had told me before that we needed an SUV! The following hours were dynamite! 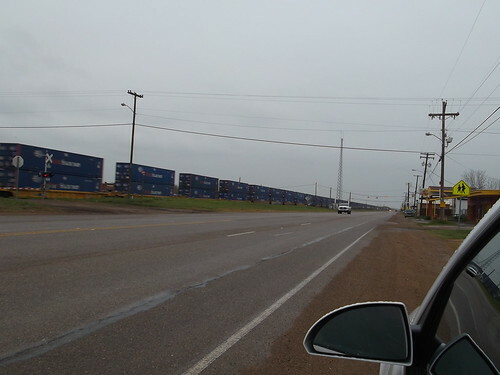 Our American friends drove in front of us with their long-legged pickup, it was of course a 4 wheel drive. 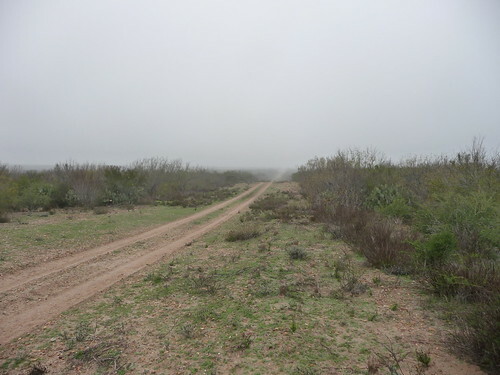 Before me a more than 30-mile-long, soggy dirt road stretched itself, which was also mostly frequented by oil transporters and therefore indented with deep ruts. I drove and drifted as well as I could with my snow-white Toyota Impala, at some passages wondering if we could get through at all. But with momentum and the underside of the car dragging along the dirt from time to time we mostly went pretty well. However, a few mud holes were pretty nasty. The crossing of streams by means of planks was only one of the many difficulties. Five miles from the Lincoln Ranch it was ultimately over. 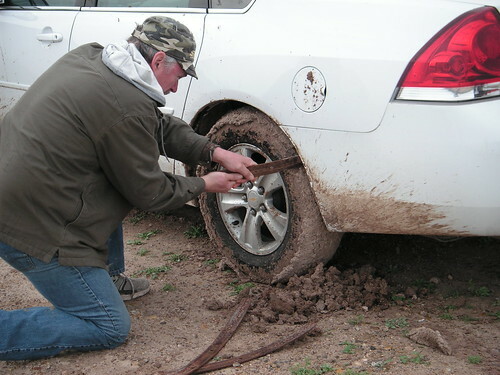 The wheels were sealed with mud and the Impala was deep in its suspension. A controlled ride was no longer possible. Meanwhile, it was already late at night and it was raining heavily. We drove the Toyota to the roadside and parked it on a cattle pasture. The first of us Europeans got into the pickup and drove to the ranch with our friends. Two hours later the last pieces of luggage had arrived with us on Lincoln Ranch. After a couple of ‘Late Night Bourbons’ we moved into our rooms and were glad to have arrived here. With a Jeep, the ride would actually have been a lot of fun. The last thought I had went to my rented, white Toyota Impala, which in the end had no longer looked so white. Hopefully the car was still functioning, and again hopefully – we could get it clean again. I was looking forward to the next few days, however, in the Texan wilderness. Here are some impressions and pictures from our first adventure on the way to the 1st Wild and Dirty Camo Camp 2012.